Pete Dabbs, the creator of of the first working CD-i Emulator and the developer of Rise of the Robots on CD-i, managed to finally track down some long forgotten CD-ice source code and after fighting with Visual Studio for a bit he got it building (and fixed a couple of problems it found along the way). Pete tried it with Frog Feast which to his surprise ran without any problems. Speed is wrong thanks to cheapo (free) screen capture software.. Pete: "I was digging around old hard drives and PCs a couple of days ago and came across some source code which after an hour or so struggle I got compiling with a new version of dev studio. Might be some useful stuff to help in Cdifan's current direction with the emulation.. Also shows those clever know it all folk on certain forums that it wasn't a one trick pony! After having a quick run through a few game ISOs I'd got I can say the compatibility isn't (wasn't) great although from what I remember from all the way back then there are only a couple of significant things stopping it running a lot more games. The main one I've come across today (and remember fighting at the time) is all to do with the multi process stuff (loading a process from another one, running it and then Exiting, a lot of games did this type of stuff to play the bumper or their own intro anims). That might not be that hard to fix as looking at it with fresh eyes I can see some mistakes in how I handled stuff. There's also a couple of screen drawing problems eg Flashback runs great but tends to draw crap all over the screen outside of the game/movie area (probably should just be not displaying screen there and I'm ignoring an LCT instruction or something). I'll probably have a play about with updating it myself first then decide what to do with it later. I might have a surprise on the game front for 2011, writing a new CD-i game has been on my "todo" list for a loooooong time and I've got a few ideas for what I'd like to do." That would put CD-i back on the market in 2011, but Pete rumoured the same message one year ago, so fingers crossed! It is a small tradition to post a 'Happy Christmas' note on the blog to wish you all a happy christmas, thank you for all your support and wish for another informative CD-i year next year. With both the forum and the blog reaching over five years in existence, we think our little websites are very much needed to keep CD-i a little alive. 2010 was the year that we finally saw a big update on CD-i Emulator. That was probably the biggest CD-i news this year, along with some new title discoveries. 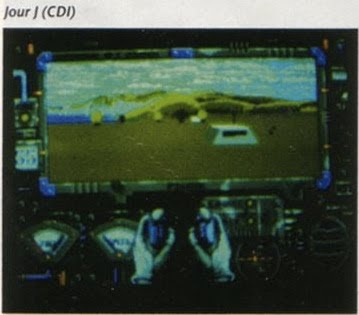 Behind the scenes we were able to track down more developers behind the CD-i projects 'Rebel Assault', 'Discworld' and 'Tox Runner' but it is still too early to show you more of this so we'll keep it as new stuff in 2011. So, there will be plenty again to look out for in 2011! See you next year! In the following months we let you decide what each CD-i game is worth. 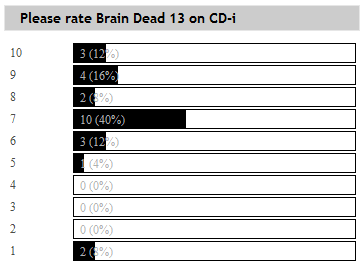 We like to know how you would rate every single CD-i game. 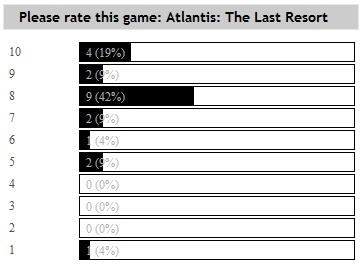 Keep an eye on the polls in the right column to see if a new game is up. We'll come up with lists once we have some input. Thanks for your vote! Making the Grade is a very rare simulation game for the Philips CD-i. It was developed by 3T Productions for British Petroleum. The purpose of the game is to build and manage a polyethylene plant over a period of time. This is the introduction and explanation of how the game and the interface works. You can read more about Making the Grade here. As I think we were beginning to suspect, the conversion of Discworld to CD-i was not handled by Psygnosis, Teeny Weeny Games nor Perfect Entertainment! Instead it was handed over to an external studio called 'Divide by Zero' based in Nottingham, UK. This is not a very big studio from what I can gather from Google but they did however work with the publisher Psygnosis between 1993 and 1995 on a couple of games. So a link did at least exist! 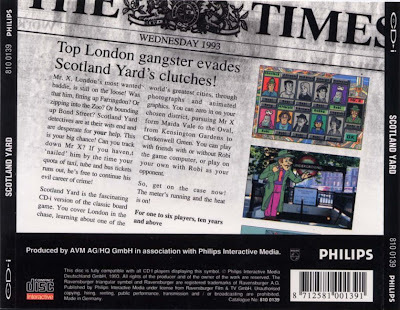 The product manager for the PSX conversion of Discworld had limited exposure to the CD-i conversion and he is pretty damned clear that the game was in a 'playable' state when he left TWG. He made a special trip to gauge the conversions progress so this information in context appears to be good and accurate! More when it develops. Small update to let you know that as of today, Interactive Dreams offers you a small peek in our kitchen by showing you some statistics of our website. You can watch how many times our website is shown on a screen worldwide in the last week, and if the website gets more popular over time (=more pageviews). You can also see the most popular posts of the last month. I always wonder how far Philips could eventually have stretched the use of Nintendo characters in their games. If the Zelda and Mario titles met the quality/popularity of their SNES counterparts, would Philips have started making sequels? How far could this have gone? What if a game like Lost Ride had a Donkey Kong theme? Or what if Atlantis had a Metroid theme? However, Johnny Wood once told us that Philips could've made an unlimited amount of games about Zelda and Mario. He was very eager to get his hands on the license but the American division of Philips Media became very protective about releasing it to a European developer. Imagine what ADS could have done with this franchise! Also, Donkey Kong wasn't on the agenda, according to Johnny the license only covered Mario and Zelda. But, development on a Donkey Kong CD-i title appeared in the work of Adrian Jackson-Jones, who worked in 1992-1993 at RSP (USA based independent studio founded by former Atari programmer Mike Riedel in 1984). Here, he worked as a "Super Nintendo and CDI Programmer". He worked on games including: Steven Segal: The Final Option (SNES), Tom & Jerry (SNES), The Hunt for Red October (SNES) and Donkey Kong (CDI). He aided in game engine designs for the Super Nintendo products Steven Segal: The Final Option, Tom & Jerry, and The Hunt for Red October. 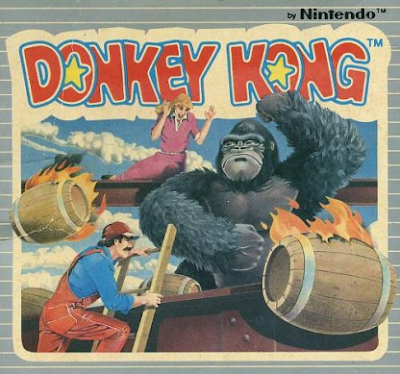 He designed and implemented the game engine for the CDI system game Donkey Kong. According to his Linkedin. Definately worth investigating. "I asked the Nintendo question and do you know what, the whole deal was a gentlemens agreement! The President from Nintendo of America and Philips Media simply shared a vision for the medium, so that is why Philips were allowed to use Nintendo characters. At least that is what the man says! I believe originally the vision was for use in educational wares however that was perverted towards video games later. That's my supposition anyway and 'Nintendo takes America' did sound like a kids title from the outset. Investigated CIGAM a little bit but unfortunately the studios creator Howard Greenspan died last year." 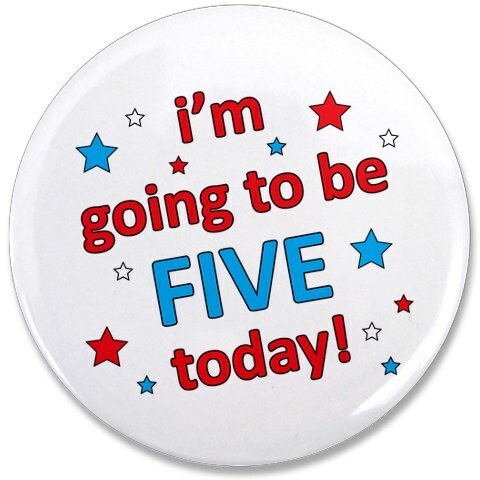 Interactive Dreams: 5 Years Online! We open the champagne at Interactive Dreams to celebrate our fifth anniversary: We're actually five years here to give CD-i a little more attention it deserves! Thanks (again) for your support, visiting us again and again, and let's go for at least another five years. Happy Birthday! 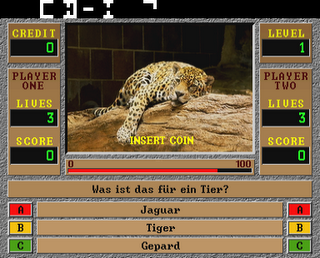 The team that worked on the MESS CD-i driver has made a lot of progress in emulating the CD-i based "Quizard" arcade games, produced by TAB-Austria from 1994 to 1998. Readers who follow the release notes of MAME may have noticed a game added to MAME 0.139 called "Quizard". 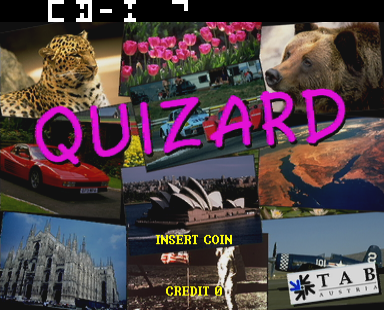 "Quizard is noteworthy for being one of the few arcade games to be based on the Philips CD-i game console, and benefits from the ongoing CD-i work in MESS by Harmony", as published on his blog here. Within the Quizard CD-i arcade machine there is a standard CD-i player with a separate I/O board connected to the front and rear serial ports of the console. It includes a protected i8571 microcontroller for copy protection. For anyone interested in seeing what the machine actually looks like, we had a small article about the Quizard machine here. The Quizard CD-i games fail to boot in CD-i Emulator, but apparently for different reasons than it does in MESS. Harmony: "MESS seems to get stuck in an OS call shortly after the OS launches the cdi_quizard executable module, whereas CD-i Emulator loads it, tries to send data to the (non-existent) I/O board, then hangs while waiting for a response." Harmony: "Using a targeted hack, I was able to get the 1.7 revision of Quizard to boot in MAME. [...] I've managed to get both Quizard 1.2 and Quizard 1.7 to be fully playable by either one or two players. 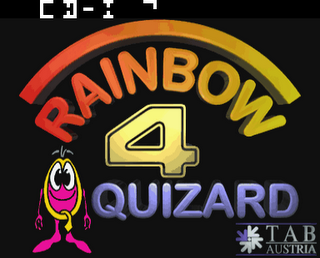 Additionally, the protection check patches were able to be made partially generic, enabling Quizard 3.2 and Quizard Rainbow 4.1 to boot, go into attract mode, and coin up without problems. Read more details and watch more pictures here. Alan recently posted a link to a great CD-i resource on the web, created by Cliff Johnson: A tribute to Funhouse. 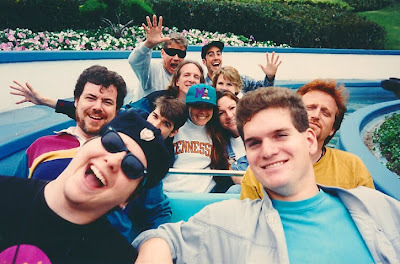 Recently Cliff added a picture of the Funheads enjoying a Disneyland trip: That's a rare piece! Here you can find custom covers for CD-i games resized on DVD box format. Burn:Cycle is a live-action interactive movie, a mash-up of Blade Runner and Johnny Menmonic, with some mini-games and puzzles thrown in. 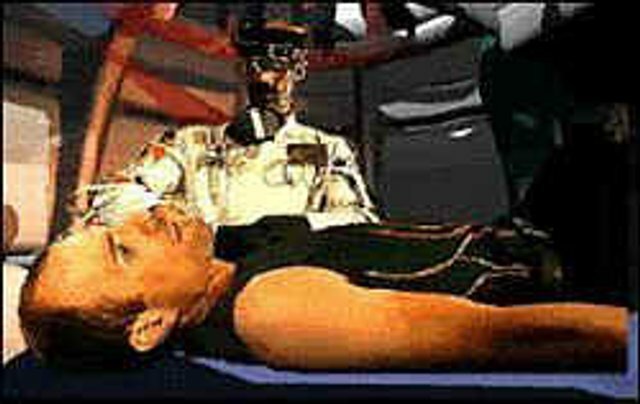 The movie/game follows Sol Cutter as he tries to remove a computer virus from his implant while the player controls some of his actions. If you’re lucky enough to find a version with a bonus CD, you’ll have the extra treat of listening to the music of Simon Boswell. 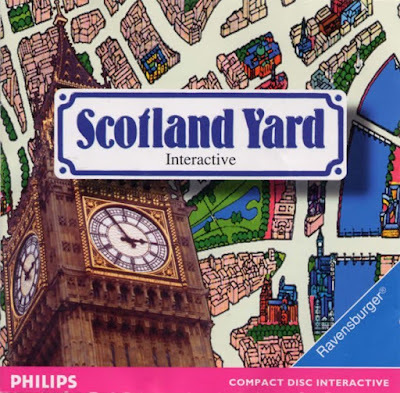 Here you can find information about the CD-ROM version on the game and (in the comments) how you can play it on modern PC's. On Assemblergames a screenshot surfaced of an unknown CD-i game named "Jour J", (translated D-Day) developed or published by french based game development team "Loriciel". Loriciel I originally know from Amiga but apparently they did something on CD-i too. "Jour J" is a military themed shooter, but it seems like the screenshot is built with polygons, which sounds unlikely to be on CD-i. Until more proof is found I'd take it with some questions. From Mobygames: "This multi-genre game represents famous historical events of World War II called D-Day. Driving a tank and fighting as a tank team with enemies in French villages. All kinds of gameplay differ in looks from 1st or 3rd person perspective in simulator-like missions (tank and plane respectively) to isometric (infantry) and platform (paratrooper) with corresponding actions made in all of them." It's remarkable that Jour J was originally developed for the Atari in 1993 in the english language. I've found some credits to check so we'll have a closer look when we find out. A new quote by Philips Media HQ: "Another curious thing here in America. There were actually 2 different sales organizations as the Phiilps guys in the US were completely uncapble of selling software, so they sold the players and ultimately a new group controlled out of LA sold the software. But neither group was qualified to the do the job. You can not imagine how frustrating it was to produce great titles only to not see them promoted and marketing properly. 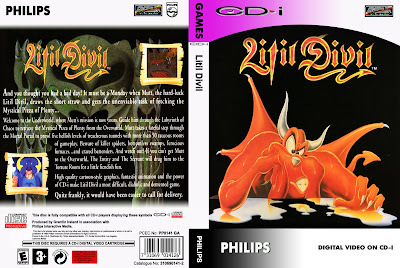 Indeed, in Europe I found a great haven for CD-i development as the US developer community reacted to the poor marketing of CDi and basically could even be bribed after a while to do titles. That was fine with my as we took our development budget to England, Belgium, Holland and France and got some great product.Indeed, in Europe I found a sales organization so thirsty for more game titles that was almost intoxicating." It’s been eight years since the Video Game Critic published a CD-I review and I’m happy to report they’ve written a new article about Dark Castle CD-i. Not surprisingly, they comment about the slow, unresponsive gameplay that this game holds. Still, Dark Castle is a special game because it was the very first platform game on CD-i. Scrolling was a known problem for the CD-I hardware and it shows in Dark Castle. What did surprise me were the first good words about the amazing sound effects and the superb graphics. I don’t really feel that way. The sound is OK to me, the graphics were low-res and muddy. And I actually didn’t find the gameplay not that bad at all. Ofcourse it’s nothing compared to the excellent platformers created by The Vision Factory (The Apprentice, Lucky Luke). Go read the review right here. We at Interactive Dreams published some history behind the Dark Castle CD-i port earlier before. 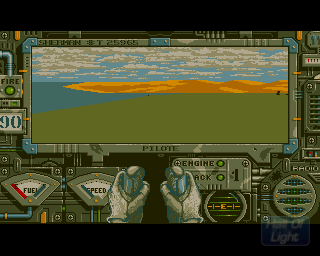 Where are the flight missions in Creature Shock CD-i? 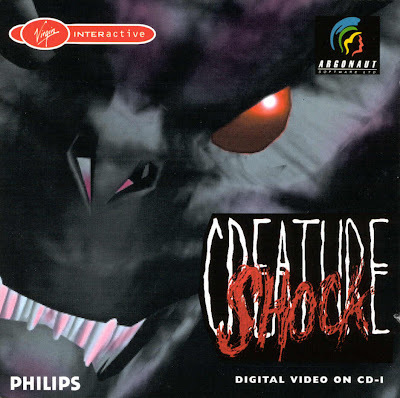 Just like Philips Freeland Studios skipped a few puzzles in The 7th Guest CD-i because of the hardware limitations (to save time, money and bytes to fit the game on one disc), Argonaut kind of did the same thing to the CD-i version of Creature Shock. Mike from the CD-i forum experienced the following: "The game, when started, and going into the first mission before the space shoot-out freezes, and the only think you can do is click the action button and it takes you straight to the planet to start the alien ship level 2. It totally skips level 1 space shooting. At first, I thought perhaps this was just a limitation of the player I was on, so I tried it on both 220 models, and the 1100 and also my 370 - all with the same result." opt_fr experience the same problem: "I have the original version of Creature Shock and I could never play the first (shooting) mission. I think it hasn't been implemented in the cd-i version of Creature Shock or maybe it is accessible only in hard mode (never tried hard mode)". So what happened? In Creature Shock CD-i, they indeed replaced the shooting scenes with MPEG movies; because of the technical limitations of the CD-i hardware. In this way, the CD-i version only has 3 playable levels (2 huge mazes and 1 boss place). 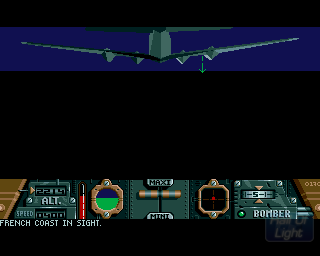 The bright side is that the CD-i version by FAR has the best graphics because of the MPEG rendering. That is what it took Argonaut so long to prepare the CD-i version. But don't doubt your copy is bugged or your player is defected: The CD-i version of Creature Shock replaced two flight levels with an MPEG video. 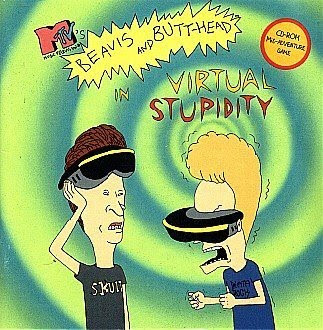 Is there a CD-i system with better output than s-video? Does a CD-i system exist with component, hdmi, or vga output? Is s-video the highest quality you can go without modding the system? 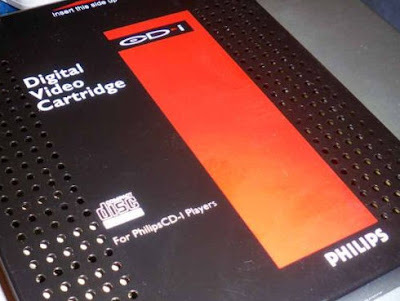 "All Philips CD-i players with Euroconnector (SCART) on the back can do component as well as S-VHS. I think this includes all the 210 and 220 models. And yes, there exists a CD-i player with VGA output. Although I don't remember if it did full-screen or only windowed output. ", according to cdifan and erronous. I guess the VGA output is limited to the types of the I2m CD-i/PC card. 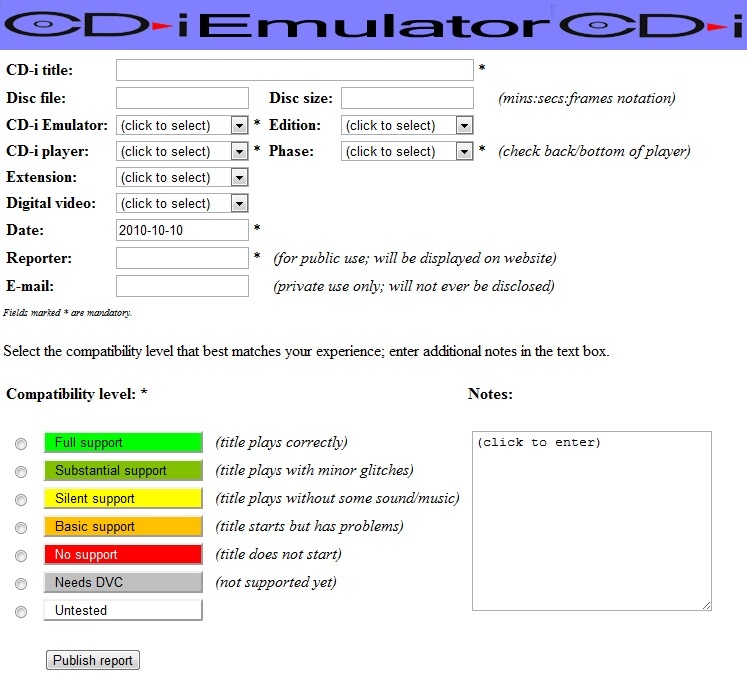 Cdifan posted some interesting thoughts to develop CD-i Emulator more like CD-ICE: This first CD-i Emulator tried to emulate CD-i with the use of the original ROM of the player. Cdifan: "I have some wild ideas about ROM-less emulation; this would basically mean re-implementing the CD-RTOS operating system. It can be done, CD-ice proved it. I'm not going to tackle that by myself; my current thinking is to make a start by implementing a high-level emulation framework, tracing stubs for all the calls (luckily these can mostly be generated automatically from the digital Green Book and OS-9 manuals) and some scaffolding and samples. One of the pieces of scaffolding would be a really simple CD-i player shell; one that just shows a big "Play CD-i" button and then starts the CD-i title :-)"
Furthermore he explains the start of his CD-i Cookbook: "To prepare for the above I had to do some fairly heavy design, which caused me to properly write down some of the design information and tradeoffs for the first time. This will be invaluable information for co-developers (if they ever materialize), hence the title "CD-i Emulator Cookbook". Well, at present it's more like a leaflet but I hope to expand it over time and also add some history." Read a lot more details on his blog, cdibits. You can find CD-i game manuals online at Replacementdocs, filling its database with all manuals found at different sources including Black Moon Project and Le Monde du CD-i. It's a start that could be a nice home for CD-i manuals once you don't have the original. Find out more here. A Quote made by Philips Media HQ: "I too probably was giving up on Cdi in America truthfully -- but not because of the format, but because of the sales organization that was behind it. Plus, there was a lack of overall software development that would realistically drive the format. The emphasis in America was far less on games as I said before and more on infotainment and I don't think there is a significant market for this then or now. It is niche. CDi was to be mass market. And while you might produce a compelling disc on the Titantic or how to take pictures a la Time Life Photography, these were the types of titles that would complement not lead the format to succcess. Back then Philips US was in Tennessee, Knoxville as I recall, and they had no belief in the format, no committment and they were completely schiztophrenic over the Philips brand, switching back and forth between Philips and Magnavox (one a proud name in US electronics, pre Philips, but today it is reduced to the level of a cheap import) They were half heartedly getting behind the format and while Emiel and Alex were constant ambassadors between the software arm (American Interactive Media, and then later Philips Interactive Meda), and Philips Consumer Electronics USA - there was a chasm. We came from two different worlds and both organizations were at fault for not coming together better." Version 0.5.3-beta1 of the CD-i Emulator program supports proof-of-concept MPEG playing for Gate Array MPEG cartridges but not for the other types. It does however support the 1MB memory extension feature of all models. With the CD-i Emulator comes a dummy ROM file so that you can use the extra memory even if you don't actually have a DV cartridge ROM. Some titles can use this even without the MPEG playing function (e.g. The Apprentice). At the bottom you see a video from Lucky Luke CD-i made by cdifan. cdifan: "The Philips Media bumper animation is MPEG (audio and video) and so is the audio for the piano sequence. The in-game crash is due to an MPEG sound effect. This is with a Gate Array MPEG AH01 cartridge (22ER9141 F1 AH01); as the cartridge types get newer the decoding starts working lesser and lesser. Later GMPEG cartridges will crash earlier in the gameplay, VMPEG and IMPEG will not play MPEG at all. This is simply because I haven't gotten around to fixing those things yet; there are still major bugs in the buffering of the MPEG data and while that remains unfixed there is no point." Many other DVC titles will play their Philips bumper but crash soon thereafter; some others won't even get that far. In some cases this is not even due to MPEG decoding issues but to various "other" reasons for crashing (The 7th Guest is a notorious example). Harmony from the MESS CD-i development team recently started his own blog with information on his work on the MESS CD-i Emulator. From now on, you can find his latest posts in the right menu bar of Interactive Dreams. His first posts tell us about interesting progress he made with emulating the Quizard CD-i Arcade games. 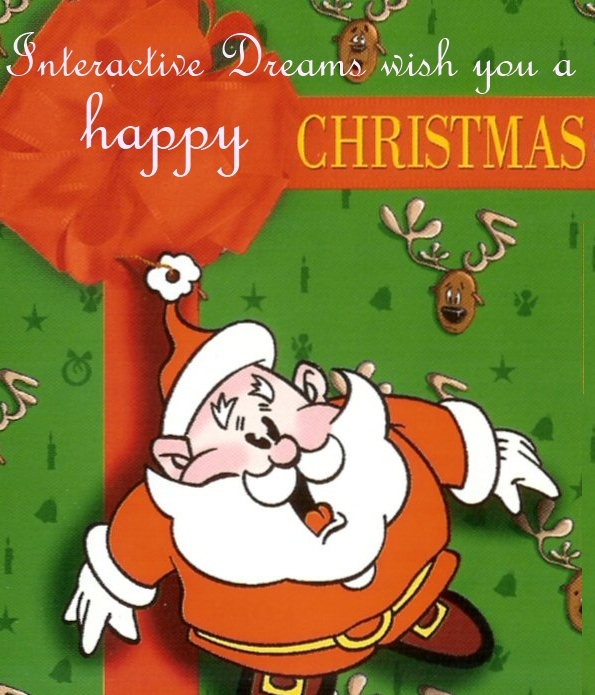 The Quizard CD-i Arcade Machine was featured on Interactive Dreams here and here. It's a rare piece of hard- and software as this is the only CD-i based Arcade machine. 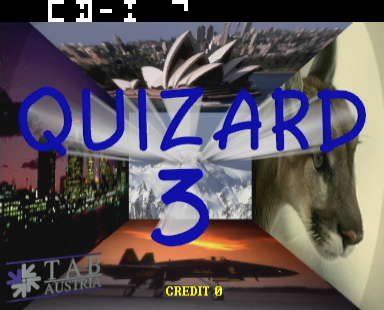 With some tweaks Harmony got the Quizard CD-i games (interactive quiz titles made by TAB-Austria in 1994-1998) to work within MAME. Read all details and pictures on his blog here. Now the official update on CD-i Emulator has seen the light of day, time has come to create new compatibility lists of all CD-i games to get an idea how much improved the new 0.53 version actually is. The way to report compatibility issues has never been easier now cdifan implemented a menu system on the cdiemu site right here. In this page you can easily share your experience with any title and it will pop up in a (hopefully) large list to show you how complete the emulation is. If you haven't started yet emulating CD-i, read the tutorial on how to get it running on your PC in this article. If you have any problems/questions, don't hesitate to drop here a question or go to the CD-i Emulator Forum. cdifan has just released the first public beta of CD-i Emulator version 0.5.3 for Windows, the first update after the original September 2005 public release. A number of existing CD-i title compatibility problems have been solved for this version and a number of new CD-i player models are now fully or minimally supported. This version of CD-i Emulator incorporates source code from MAME/MESS used to support the CHD file format and the writing of AVI and PNG files. More information can be found on the CD-i Emulator website, in particular the Release Notes section. The beta release can be downloaded from the Downloads section; don't forget to read the README, HOWTO and RELNOTES documents included with the emulator! Any questions, comments, etc should be posted to this forum, where the answers will be useful to the entire user community. 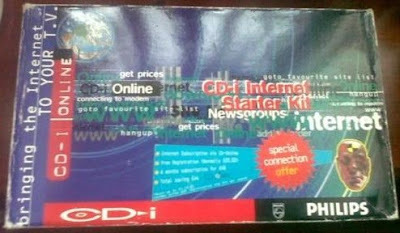 It's very difficult to find good quality pictures of rare CD-i objects, like this one: the box of the CD-i Internet Kit. It was a nice innovative product but a little expensive at $300, but it gave you the possibility to browse the "world wide web" on your CD-i player. That, regarding its technical limits, was quite an achievement. You can read more about it here. In the past months we asked you what type of CD-i player you have. As expected, the consumer models 2xx and 4xx are the most common available players for you. In future polls we'll specify more on what player type you own and which non-philips model is available the most these days. - The minimum operating system requirement is now Windows XP, due to my switching to Visual Studion 2010 for development. - A number of emulation compatibility problems have been solved. All of them apply to Mono-I CD-i systems (200, 210 F1, 220 F2), most of them apply to Mini-MMC CD-i systems (205, 60x, 205/910) and several apply to all CD-i systems. - Support for CHD (Compressed Hunks of Data) disc images has been added. This is the native disc image file format of MESS/MAME; its main advantages for CD-i Emulator are cross-emulator compatibility and smaller file sizes. Emulating from CHD files is also somewhat slower because of the required on-the-fly decompression. - Support for writing the decoded audio and video streams to various file formats has been added. The current version includes support for (uncompressed) WAV, (uncompressed) AVI and (compressed) PNG files. Use the appropriate -writexxx option for this. Each uncompressed video frame written to the AVI file takes a little over 1.2 MB, which results in large file size: about 61MB per second. These numbers are for PAL (50Hz), for NTSC (60Hz) they are a little over 1.0 MB per frame and about 63 MB per second. In contrast, a second of uncompressed audio is about 172 KB. You can write a silent AVI file with the -writesilent option; this can be combined with the -writeavi or -writepng options to write separate audio and video streams. Note that with WAV file writing, silent periods (where the CD-i title doesn't play any audio) are not written to the file. You can limit the AVI file size by using the -writescale or -writerate options to reduce the number of video frames per second or the size of each frame. The -writeview option controls which view is written out; the default is to write the full CD-i Emulator window (including window borders, menu and the toolbar, if visible). Use -writeview video to write only the CD-i video. The Emulate | Write... and Emulate | Stop Write menu choices are not yet functional. - Support has been added for recording and playing back files containing CD-i input events such as pointing device movements and clicks, keyboard presses and disc insertions. The -record option writes a file containing timestamped input events, prepended by all the extra information required for faithful playback which includes things like CD-i player model, DVC cartridge type, extension roms, PAL/NTSC and special startup options. The -playback option will read such a file and play back the recorded input events and disc insertions. The extra information should generally cause it to work without the need to fiddle with emulator options to reproduce the exact recording environment. It is also possible to play back on a different CD-i player model or with a different DVC cartridge or differing startup options. Command-line options will override recorded information, and input channels are somewhat "intelligently" matched to the available input devices. TBA: What happens when the user doesn't have the required ROMs? Recorded disc insertion events contain both the full path to the disc image file and the title of the disc; during playback CD-i Emulator will use the full path if possible. If the disc image file does not exist, the disc title will be used to search the list of recently used disc images. It is thus possible to exchange input recording (the preferred file extension is .inp) with other people, for example to reproduce crashes or audio or video decoding bugs. You can also use input playback to offline write full-rate full-quality AVI or PNG files from a CD-i Emulator session, this is generally not possible in real-time. In this case, use the -playback option together with -noskip and -nowait. If you intend your input recording to play back on all CD-i player models, you should use the -playcdi option to avoid recording the CD-i player shell because it differs between models. This means that you have to select the disc image to be inserted before starting the emulation (use either the -disc or the -selectdisc option or the corresponding menu choices). The current input recording file format uses a single 32-bit field to record event times as CPU cycle count; with a clock frequency of 15 MHz this field will wrap around in 4 minutes and 46 seconds. The internals of CD-i Emulator require that at least one event is recorded every two minutes, otherwise playback will lose synchronisation. This will be fixed in a future version of the file format. 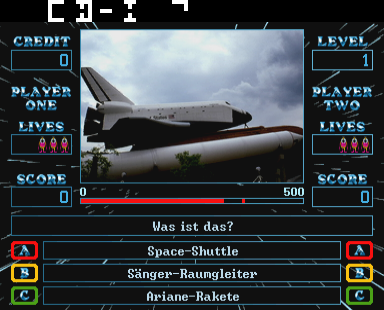 - Minimal support for a number of new player system ROMs has been added: Philips CD-i 370, DVS VE-200 and LG GDI-700. All of these players use the "Portable CD-i" board but have different built-in MPEG cartridges (which appear to be VMPEG and IMPEG, but at different addresses). These players will currently boot into the player shell. However, there is no pointing device support yet so it ends there. The Movies section of the CD-i Emulator website has YouTube movies of these players booting. 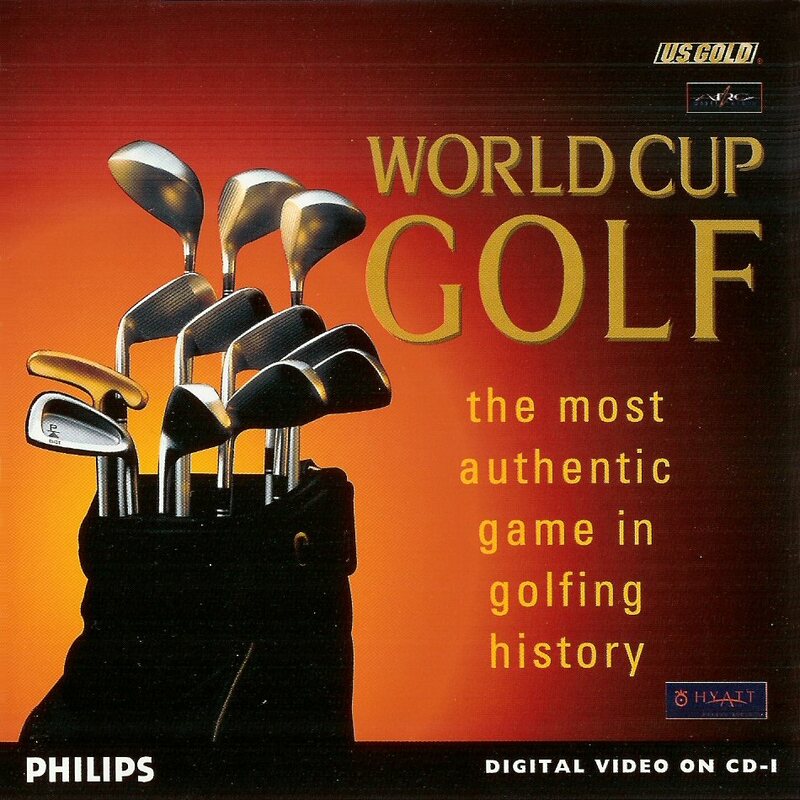 - Proper detection and full emulation of the following player ROMs has been added: Philips CD-i 200 F1, Philips CD-i 220 F1. These are both variations of other player types. - Very buggy MPEG support, mainly for Gate Array MPEG cartridges (22ER9141 F1), has been added. TBA: More details. - The Decode menu contains a new option Flush Audio. This can be useful on fast hardware when audio starts to lag behind. 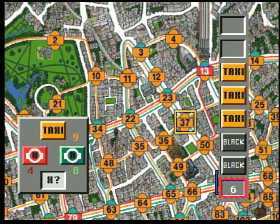 - The Decode menu contains new options CCIR Limit, Plane A, Plane B and Dim Video that control the decoding of CD-i video data for display. TBA: More details. 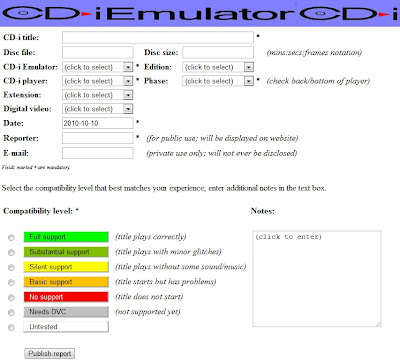 - CD-i keyboard emulation has been added. There are to my knowledge only a very few titles out there that support a CD-i keyboard, all of which require the DV cartridge are thus not (yet) supported by CD-i Emulator. However, there is (very rudimentary) keyboard support in the Philips player shells, just enough to verify that your CD-i keyboard is actually working. The "old player shell" (found on 60x, 200, 210 F1/F2, 220 F1/F2/F3 and 350) supports the "p" key (lowercase only!) as equivalent to clicking the "PLAY CD-I" button. The "new player shell" (found on 210 F3 and up, 220 F4 and up, 4xx, 615, 660 and 740) supports any key to abort the introductory animation. Supposedly one or both player shells also support the keyboard for naming favorite track selections, but I haven't verified this. - You can now control the CD-i pointing device with the keyboard using the arrow keys (four directions) or the numeric keypad (eight directions). The [Space] and both [Enter] keys will press button 1, the [Backspace] and numeric keypad [+] keys will press button 2 and the [Esc] and numeric keypad [-] keys will simultaneously press buttons 1 and 2. The -keydelta option can be used to control the movement speed of the pointing device. There is currently no way to change the key mapping. - The -[no]wait and -[no]skip options can be used to control frame waiting and frame skipping (both of these are on by default). Normally, CD-i Emulator will attempt to maintain real-time emulation by waiting after frame display or skipping frame decoding, when necessary. The former is needed on faster computers, the latter on slower ones. Use of the -nowait option can make your CD-i title unplayably fast and it will also cause the audio to lag behind if the title plays continuous audio (most games do). The Decode | Flush Audio menu choice can be used to catch up in this case. From CDIBITS: "I have just released the pre-beta version of CD-i Emulator to my beta test group. This version is intended for quick tests; if nothing drastically happens, the final beta1 release will happen in a few days." This means it is going to be a busy weekend for me! Expect test results and reviews coming up in the following weeks. CD-i Emulator is back in business! David McElhatten in american press (1994) about CD-i: "1994 was our year to prove CD-i was a viable games platform by bringing over other titles and doing them better on CD-i (Litil Divil, Lemmings). Now we are ready to move beyond that, and put our own mark on games with original titles. 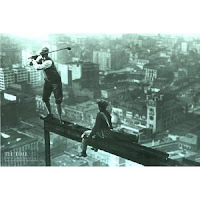 One of those in the works from Philips Media Games is due from its new Tribal Media co-venture with top effects firm R/GA: "City Golf" is a game set in New York that will feature a real golf engine and a real New York flavor. The firms are working with architects to create the 3D setting in order to get everything just right. If you hit a shot off the Chrysler Building, we want it to react appropriately." 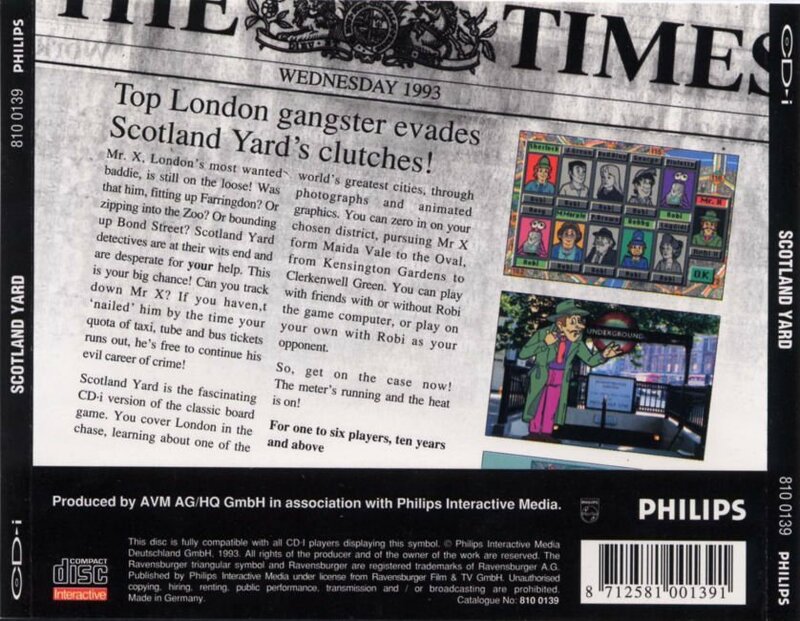 Nice interview with David McElhatten was published in american Billboard magazine of 1994. he talks about the planned bundled CD-i releases with an audio CD including the soundtrack of the game, like Philips did with Burn:Cycle and The 7th Guest. David McElhatten was the president of Philips Media Games (1994-1996). 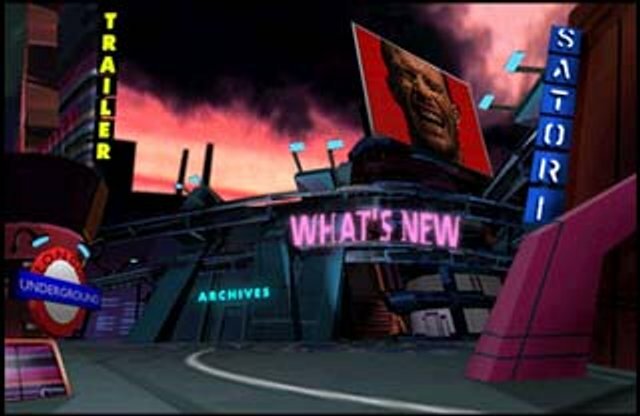 David: "Music will be the key to Dead End, a Los Angeles based racing game due in the second quarter of 1995. Philips plans to get a major act to provide the music for the game including new material. Philips is shopping for music for several CD-i projects to get 'limited editions' including an additional audio CD as an exclusive package. This is the first official 0.53 boot screen, it's no mock-up from me :). The release of the 0.53 Beta CD-i Emulator is coming close and we actually don't know a lot of details as with the extensive release of the 0.52 version. Cdifan: "Today I resumed working on the input record/playback code to get it towards its final specification for this beta. [It is needed] to get the feature usable for extensive compatibility testing, which is a goal of this beta: it should be possible to exchange input recordings that reproduce crashes or rendering bugs, even when they require some time to reproduce. Emulator state snapshots would make this even better, but that is too much work for now. The cdifile dumping code will not be released with this beta, there's too much unfinished code in there. I will attempt to finish this tomorrow, but it's just barely achievable..."
We'll eagerly following all the news available around the new CD-i Emulator and report more when it arrives. Read more technical details on his blog here. Today, cdifan posted he "did some housecleaning for the upcoming beta, which he is still hoping to release before the end of this month." cdifan: "I decided to keep the current somewhat buggy MPEG decoding stuff in the beta, which meant that I had to clean up the MPEG ROM detection logic so that it actually works. The MPEG ROM detector will now use the supplied "dummy" xmpeg.rom file if it cannot find another recognized ?mpeg*.rom file. If it does find such a file, the DVC type will now be displayed in the CD-i Emulator title bar" Check out details about his MPEG emulation right here.